On behalf of my entire HPP team, we hope everyone had a great break over the festive season. 2018 is shaping up to be a big year for South East Queensland, especially the Gold Coast with the Commonwealth Games now just months away. I’m pleased to hear many of you already have plenty of work on the books and I’m confident it’s going to be a successful year for all. HPP will continue this year strengthening and adding to our service offer to you by working closely with our valued customers, suppliers and with continued investment in our manufacturing facility at Molendinar. Please feel free to let our office know of any suggestions you have on improving our services, quality and products. Thank you for your continued support of the HPP Group and I hope you have a prosperous 2018. If you are building a wall oven tower and need a solid top in the base cabinet drawers to support the oven … We have an EASY fix! After clicking on the desired drawer cabinet in Cabinetpro – underneath the cabinet depth – click on rail or solid top > then click on solid top. This will now replace the rail with the solid top and place the required construction holes in the gables and in the new top. 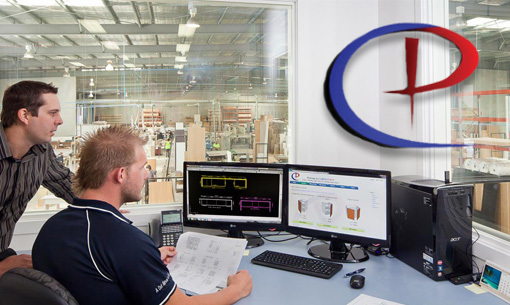 Josh is our Benchtop Expert. 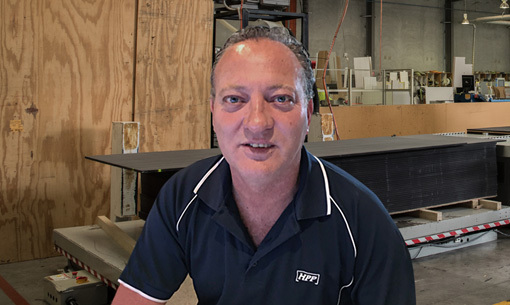 Since starting with HPP Group in 2000, Josh has worked his way through the business – from manufacturing benchtops on the factory floor to now quoting and processing benchtop and cut-to-size orders in the office. Josh is one of our longest serving employees continues to be a valued part of our team.